When we first heard about Joel and Ethan Coen’s project The Ballad of Buster Scruggs, it was as an anthology series for streaming giant Netflix. However, Variety reports that the proposed series has now apparently been condensed into a feature film—one that will premiere this fall at the Venice Film Festival, considered a “starting gun” for Oscar season releases. It’s a move that could be an important precedent in several ways. 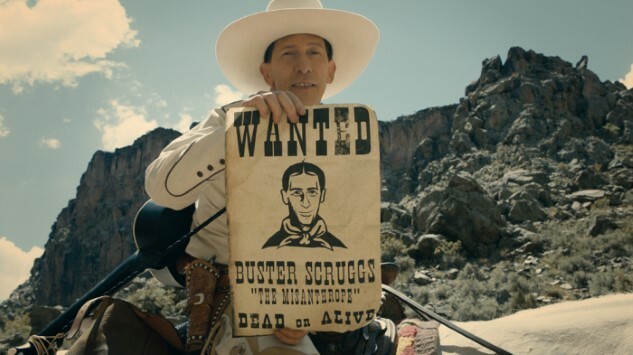 As originally conceived, The Ballad of Buster Scruggs was meant to be a series of “six tales about the American frontier,” starring the wonderful Tim Blake Nelson (of the Coens’ O Brother, Where Art Thou?) as the titular character. Now, the project is instead a feature, but one that will retain chapters and anthology structure. There are some other big names attached to Buster Scruggs’ various chapters, including the likes of Liam Neeson, Tom Waits and Zoe Kazan, but very little is known about its individual stories as of yet. The film should hit Netflix by the end of the year, along with a theatrical release that will qualify it for Oscar nominations, but this is where things once again get interesting. After all: This is a “Netflix film” we’re talking about, even if it is one directed by the Coen Brothers. If it should achieve a nomination as gaudy as Best Director for the duo, it will be a major precedent for feature films on streaming services being taken seriously on the awards circuit. We’ll keep our expectations in check until a trailer arrives, but this is certainly a film to keep an eye on.